The DLR, Germany’s national aeronautics and space research center, has more than 9,000 employees spread across 16 locations in Germany. While much of the DLR’s software development happens on its legacy version control system, Subversion (SVN), some teams have switched to GitHub for faster, more agile software development. One such team, the DLR Institute for Robotics and Mechatronics (DLR-RM), is using GitHub to develop robots to enable humans to interact more safely and efficiently with their surrounding environments. The DLR-RM takes on large and demanding robotics projects, many of which that rely heavily on open source software. As the team started to open source and manage their own robotics systems with Git, they became increasingly accustomed to Git commands and workflows. At the same time, the DLR-RM experienced a phenomenon that many businesses today have witnessed: young developers entering the workforce expecting to use the same tools at work that they did in school – most notably, GitHub. We were seeing a rise in Git usage across the institute, said Berthold Bäuml. Our IT group wanted to officially support a solution so that developers could continue working the way they preferred, but we needed to make sure it was secure and sanctioned. The DLR-RM’s IT group conducted a survey of its internal Git users along with external research and found GitHub to be the best solution. GitHub is widely known by open source contributors, it’s easy for beginners to use, and it includes additional tools like code review and issue tracking that help our developers focus on creating great software. It became clear that GitHub Enterprise was the best solution. The DLR Institute for Robotics and Mechatronics now uses GitHub across its software development teams, including electro-technique and computer science, with plans to expand to its machine engineering and electrical engineering teams who work on CAD plans and circuit diagrams. To ensure a seamless transition to GitHub Enterprise, the DLR-RM engaged its most experienced GitHub users to host a series of lectures intended to help developers new to GitHub with questions and challenges they might face. Since rolling out GitHub Enterprise, the team has seen noticeable improvements in its development process, specifically for release cycles that are deadline driven or fast paced. Berthold explains, Developing complex software under pressure, like during the SpaceBot Cup robotics competition, wouldn’t be possible without GitHub. 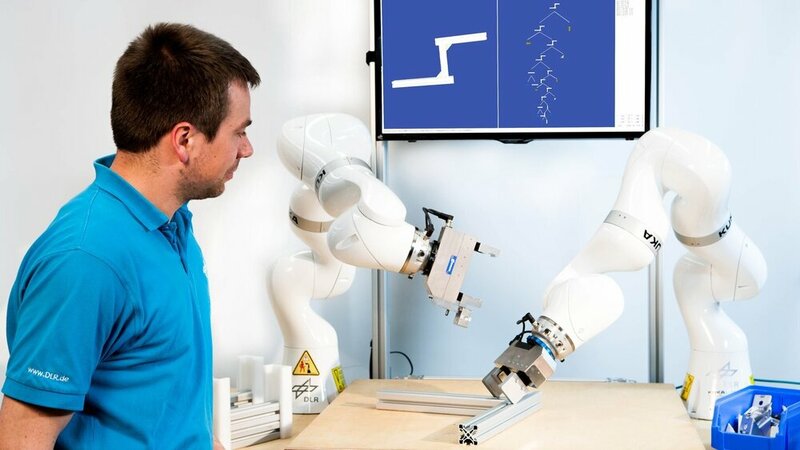 It provides the agile workflow necessary for developing research prototypes for robotics, especially before important deadlines. From flexible hosting to data‐powered security, get everything your team needs to build at their best. Tim Graham started contributing to Django as part of a college research project. Now he helps maintain the popular web framework full time as a Django Fellow.